This is the summary of consumer reviews for Motorola Vehicle Power Adapter micro-USB Rapid Rate Charger. The BoolPool rating for this product is Very Good, with 4.40 stars, and the price range is $6-$30. The Motorola micro USB charger works with most devices that use the micro USB connector. This is an excellent sturdy quality travel charger that charges fast even while running navigation and playing music. The charging port is narrow allowing you to plug it in even in tight spaces. The spiral wire keeps the cable small, neat and tidy when not in use. The cord is also long and pliable enough to be used while charging. The round loop glows a bright blue when charging. Some users complain that the charger works great at first, but after 4-6 months of use it stops working. Make sure to buy from a reliable vendor like Amazon to avoid many fake versions available easily. Overall, the Motorola micro-USB Rapid Rate charger is a good quality well constructed charger that provides a great value at a good price. 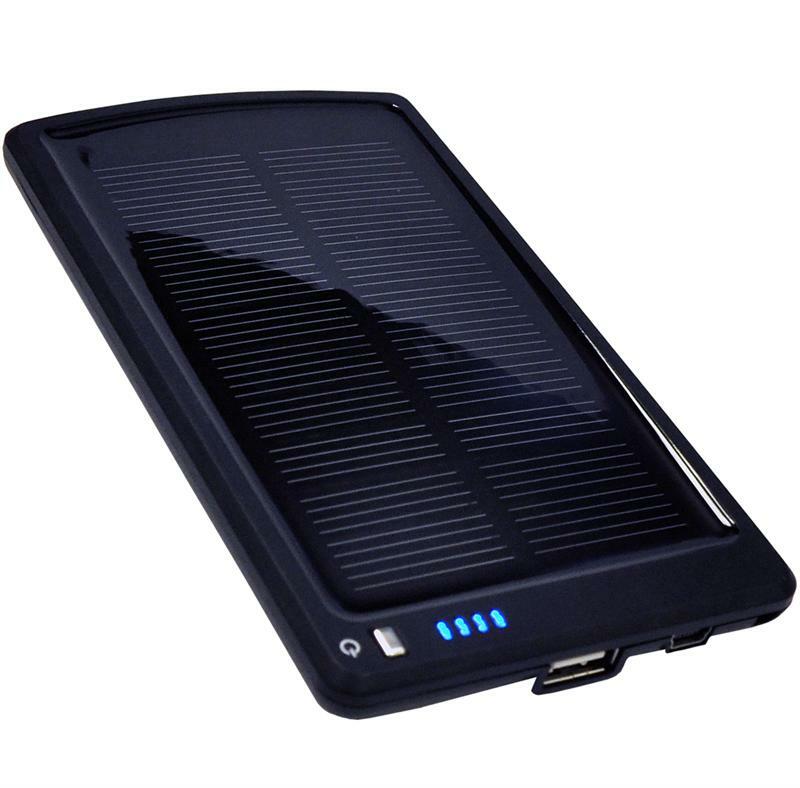 Great product, it charges quickly and looks cool too. Nice quality product as I'd expect from Motorola. I only write review when I'm really impressed with some product. This's a very good product. Having seen a couple of negative reviews of this product, I'd concerns when I ordered. I read a lot of reviews from people commenting that the car chargers they ordered from various sellers weren't the actual product shown/described in the listing. quality product,charges my power hungry htc thunderbolt with ease while running the gps and playing music. 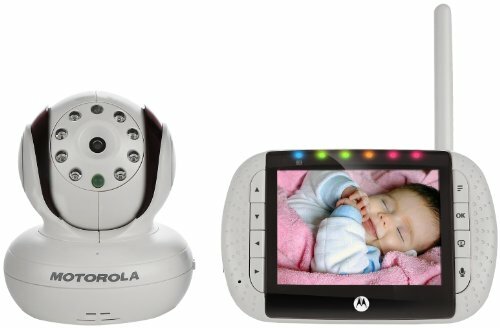 This's EXACTLY what I ordered, and is a Motorola product!. This's an excellent quality name brand travel micro USB charger at a price that beats the no-name junk from third party sellers. This charger should work fine with most any phone that uses the MICRO USB connector. For now, until the Cell Phone makers change them, I've 3 cell phones that are micro-USB. So this charger should charge your phone faster than when it's connected to a PC. The blue light is a nice touch to let you know it's working. (powered up) but can be a distraction at night driving...works well with any micro usb this far...work s on my kids phones a well as two htc phones...droid incredible and an evo 4. It's a MICRO USB car charger, made for Motorola and sold under the Motorola name, in retail packaging. Your phone asks for 300mA and the charger provides all of what's requested. For that reason, when it comes to phone chargers, you should stick to name brands. Droid needs 850 mA to charge, so this should work. Works great on everything I've tried to charge, including my HTC incredible. Charger works great with my HTC EVO 3D. It doesn't draw a lot of power enough to charge my tablet quickly but it'll charge,. When using the charger with my EVO 3D with GPS navigation, the charging rate of course slows down, but it's still slowly charging. It worked great at first, but stopped charging about 6 months into owning it. It'd charge and then lose the connection, then start charging again. Worked fine for a couple weeks. It charges my phone fast. Charges my Samsung Nexus S correctly at the full charging rate (shown as "AC" rather than "USB" under the phone's status menu). I bought one for each car so I'm always charging my Samsung Charge while driving. This thing charges my Evo 4G phone very quickly. i've tried several micro usb chargers for my Samsung Droid charge and my Motorola Droid Razr and this's the best for both of them it charges so fast and it doesn't over charge or get the phone hot. The USB car charger I was using took several hours to charge my phone completely. It does do rapid charge as advertised (no slow trickle charge), no issues with the phone going haywire. Even charges while I'm running GPS, and other battery heavy apps while charging. Actually looks nice and charges well. This charger can charge my phone from nothing to 100% in about an hour. This charger works great, is aesthetically pleasing, and has an unbeatable price. Great price and it seems to be working for a lot of people. I feel great knowing I bought a product that works, for a great price, and I didn't have to buy one for a ridiculous price at the cell phone store. Very reasonable price and it looks nice to. Nice to have a brand name product for such a great price. Plus you can't beat the price!!!. But, for the price, still a great product. I bought this to use with my HTC Evo and it works without any problems. The price was great too. charges the phone pretty fast. Charges up the phone quickly. I bought this to charge my HTC Evo and Samsung Vibrant phones which has micro-usb port for charging/data. This Motorola charger also charges the phone quicker. Good quality finish, and charges my phone very fast. The charger works perfectly for both the phones, and charges the phone pretty quickly. When I owned a Galaxy Nexus, the charger couldn't charge fast enough and the phone's battery slowly drained. I actually prefer charging my phone in the car because it does actually charge quicker than my wall charger. it allows me to use the gps feature of my phone and still rapidly charge my phone. Seems to charge android phones pretty quickly though I haven't done any tests. It works great charging my HTC Droid Incredible in the car. 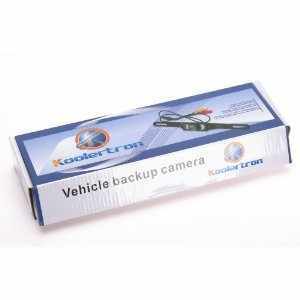 This product worked great the first time I used but now it only works if my cell phone is positioned a certain way. I've an HTC EVO which is a very picky phone that won't work with all the cheap chargers but it works beautifully with this charger. Works fine with the Motorola V9M. Looks, feels, and works like a 20-30 dollar charger. Very nice charger - Works great with HTC Inspire. The motorola unit seems to work with many if not all micro USB devices. 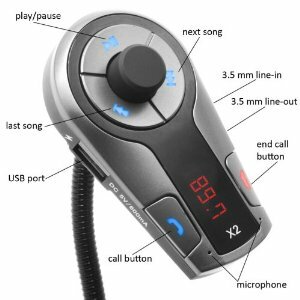 This product works great, and the light up blue lights is helpful in knowing that it's fully plugged into the AC adapter in the car. Using on my HTC Thunderbolt, and it works FANTASTIC! they won't work with just 'mini' usb, nor proprietary sockets. It works well, has a bright, large indicator light when it's plugged in. This car charger is great, it charges the phone much faster than the charger I bought from Verizon and it holds the charge like it was charged at home. 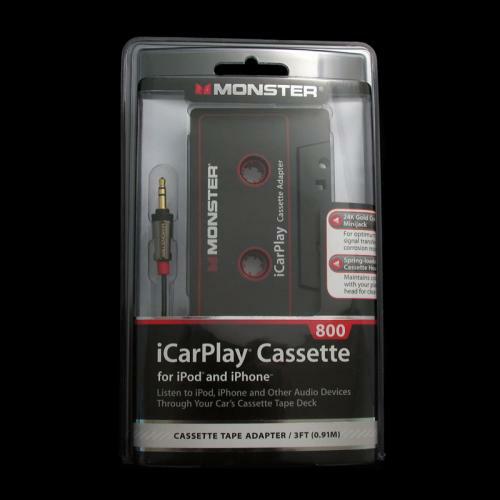 Works perfectly with or without the Droid X car dock. The unit lights up blue when it's plugged in. In my car, the charger provides slightly less, but still sufficient to charge the phone while Waze is working (which uses the display, GPS receiver, and 4G network for maps). It plugs in with the blue light indicator to show it's on. There's a blue light that glows when plugged in, which some people might find annoying or distracting while driving. This car charger works great with my Palm Pre! Nice blue light, very well made, professional look, great price. The blue Motorola light is just bright enough to provide ambient lighting without blinding you while driving. Look good with the blue light. 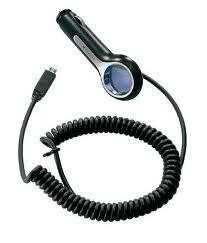 I like the blue light on this car charger and it charges my phone just fine Would recommend. The original non-working charger still lights up that pretty blue, but no charge. It charges my phone and makes a sweet blue light while doing it. The blue light I actually enjoy. The blue LED light up is a cool touch as well. It's also very visually appealing, as the blue LED lighting matches the lighting in my car. Its got a cool blue light with the Motorola Logo looks really cool at night. This car charger works fine with my Optimus V phone. It'll probably work with your phone. I picked this up after seeing what Verizon is charging for car chargers - it works fine with my HTC Thunderbolt and my girlfriend's Samsung phone. The real version charges my phone much faster than a Griffin Dual USB port . that I'd bought for my car. This charger will work with any phone that requires a micro USB charger. It works great on my Android phone and I've used it with Blackberry phones as well. It works great with my LG and Motorola android phones. It works ... but it doesn't actually charge the battery of the phone. It works with my LG Optimus S, allowing me to use the phone and GPS features while charging. Charges my phone (Galaxy S3) very fast, even while in the car dock, running Navigation, and playing music. 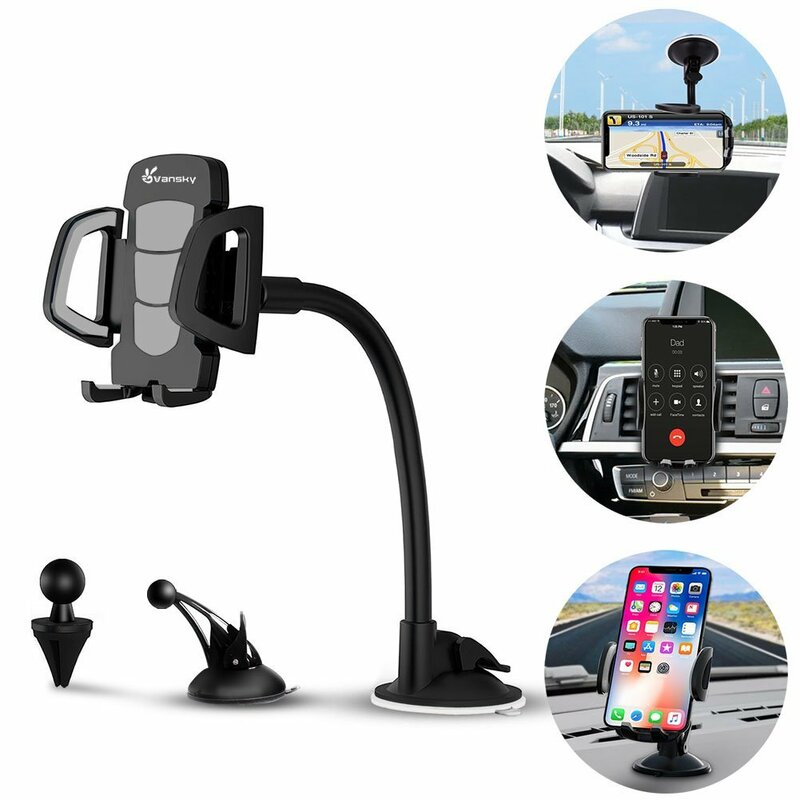 In short, it works excellently with HTC phones and car docks as well. Absolutely no complaints, charges my phone and kindle on almost every car ride. with combination of charging in iGripz car dock and charging at home from desk dock. This micro-usb Motorola car charger works well with the HTC EVO 4G (Supersonic). it's higher charging amperage so it runs phone in car dock and puts. The cheap car charger I bought from Ebay were causing electric leak, and drain out car battery overnight, also burn out the car fuse. Phone charged to full while playing music via bluetooth on car stereo, GPS maps running full screen, and 3G running data as normal. Charges much more quickly than the car charger I bought from Verizon. Not only was it a great price but the car charger charges my phone in the car as quickly as my home charger does.